I’m a Florida Native, so you’d think that I would have been riding an airboat all my life! Not so, I’m more of a tomboy princess. 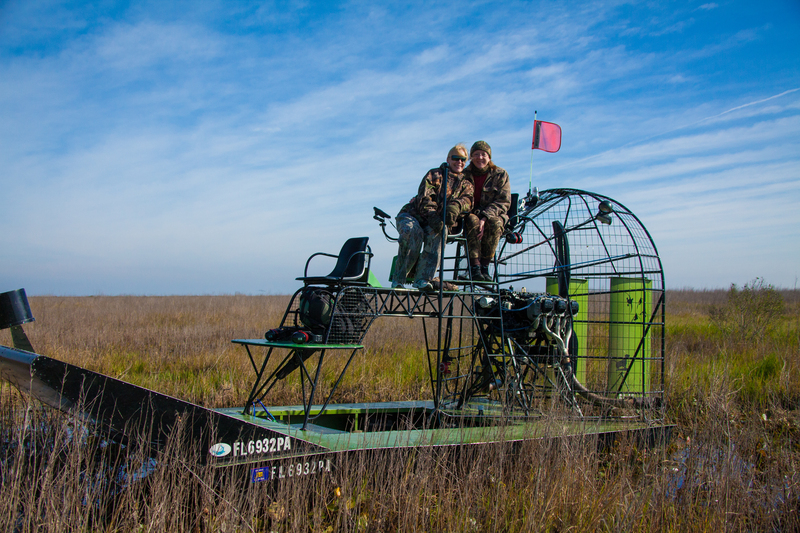 But my cousin Mike, who’s also a Florida cracker, was out riding an airboat with his Dad before he could ride a bike. So, this year, the year of extreme photography, when he suggested we go out for a ride, I was more than willing and really excited about getting out on the water to shoot Florida from an entirely new perspective. 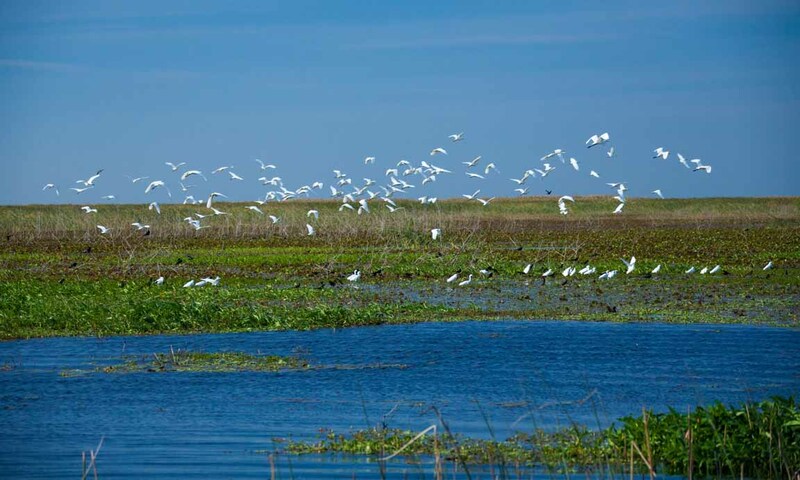 Mike has a hunting camp in Okeechobee, and along with riding airboats all his life, he’s an excellent hunter, fisherman, and an exceptionally patient and inspired guide. The last time I’d been out fishing with Mikey was in 1986. That time, we headed out at 2am to catch snook, one of the best tasting fish on the planet. It was a warm summer night, which was in complete contrast to our airboat ride. I remember thinking how peaceful and serene the water was back then, Mike knew exactly where to go, winding through the canals behind million dollar mansions, out to the Intracoastal that parallels A1A in Fort Lauderdale. For the airboat ride, we woke up before dawn and got dressed in layers of clothing, a lot of layers because it was 35 degrees out on the water! I think it was the coldest morning ever in Florida ! I’m surprised it didn’t snow. 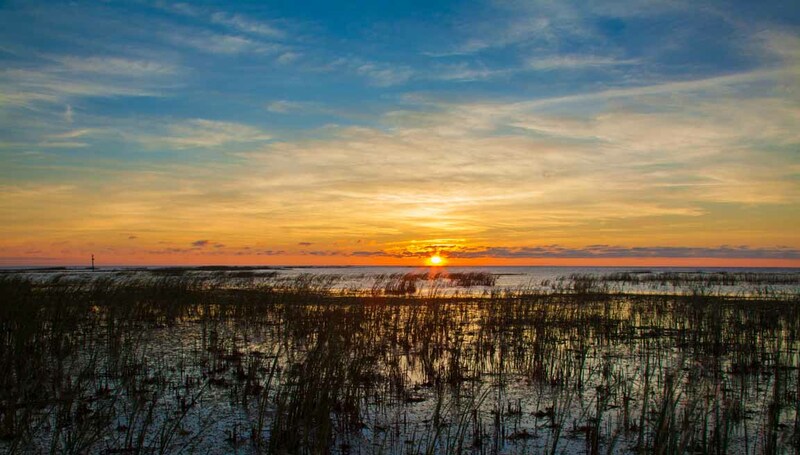 We put in on Lake Okeechobee, and headed out to a marshy area where the airboat was back in the reeds, keeping the platform still enough to set up my tripod to photograph a beautiful sunrise. As the sun came up, so did the wind, so on top of being cold, there was a wind chill factor which made it feel like it was zero degrees out. We then headed out in search of sandhill cranes, colorful mallards, roseate spoonbills, and great blue herons. The thrill of speeding across the water was intoxicating, turning and sweeping back and forth across the Lake, scaring up all kinds of birds. It was a beautiful morning. I shot about 600 photos that day, and only a few turned out, mainly because it was so windy. The birds weren’t very happy about the cold weather, either, hiding in the brushes, or flying high in the sky. So, I guess I’m going to have to go back again, and hopefully it won’t be so darn cold out! As a photographer, I find myself extremely comfortable behind the lens. In fact, if I see someone else pointing a camera in my direction, I tend to turn away, or duck behind someone or something. It’s definitely not my favorite place to be. But, knowing that to be a great photographer means stepping outside of the box, and putting yourself in places where you’re not extremely comfortable, learning to grow, I decided to get in touch with a friend of mine who’s an exceptional photographer, shooting people in their element, in studios, out on the road, even fishing in the middle of waist deep water. Tom Winter and I met back in Boca Raton, Florida. He was the president of our HOA back when I was selling Real Estate, in fact, his house was my first listing. He and his beautiful family moved to Palm City, where he began to pursue his career as a corporate photographer. I sold Real Estate for two more years, and then took a leap of faith and moved to Reno, where I began pursuing a career in landscape photography. Now, the bad thing about landscape photography is that there are a lot of us. So, you’ve got to find you’re niche, create a style that’s all your own, and support yourself in the meantime. Friends continually ask me to photograph their families, and I’ve found that it’s a great way to increase your visibility in the community, along with adding to your income. That’s where Tom comes in. His photos are gorgeous, so I asked him if he could show me how he sets up a photo shoot. He suggested photographing me, which would also help me understand how my subjects felt when the camera was pointed at them. He was brimming over with information as we drove down to the beach, sharing knowledge and giving me advice on what to buy and how to market my work. After our photo session on the beach in Palm City, I discovered his secret. It’s all about the light. Off camera lighting, natural lighting, maybe from a golden sunset or reflected light bouncing along the rocks, where there’s light, there’s magic. We shot for about an hour, before and after sunset, trying different Yoga poses, (my other passion), and thanks to Tom’s expertise, we had a lot of keepers, and one favorite. Which is all you need. Tom asked me how it felt to be photographed, and I had to admit, I was a little nervous at first, but when I started moving, finding different poses, and forgot about the camera, it was a piece of cake. I learned that the best place for a photographer to be is almost out of sight, quietly shooting. And the best thing for your subjects is to let them be themselves. Give them something to do, to play with, to take their focus off of you. When you can successfully do that, you can really capture the person inside. And everyone can relax.